The Emery/Weiner School is a private, college-preparatory middle and high school located in Houston, TX. They focus on providing the finest academics, educating the whole child, and inculcating a unique student culture. 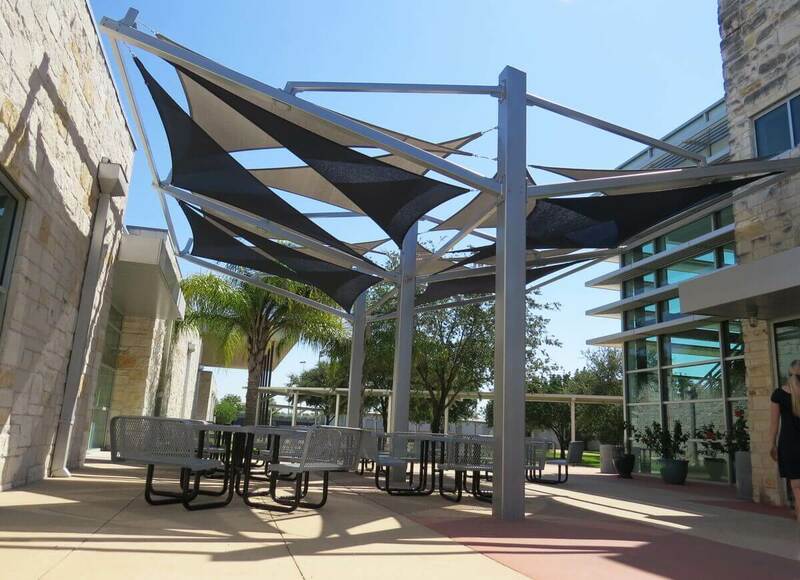 While the school provided a beautiful learning environment for students, several areas on their campus were simply too hot to enjoy year round. 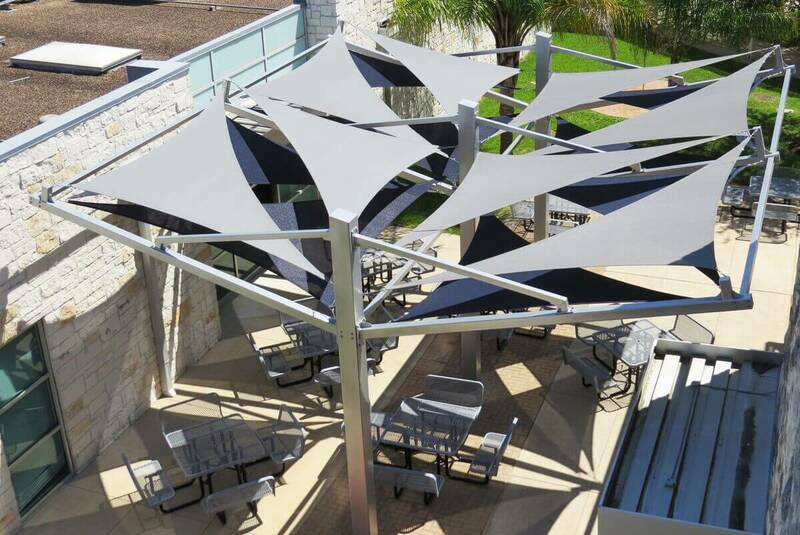 The outdoor dining facility was in direct sunlight all day with nothing but a few palm trees to act as shade. 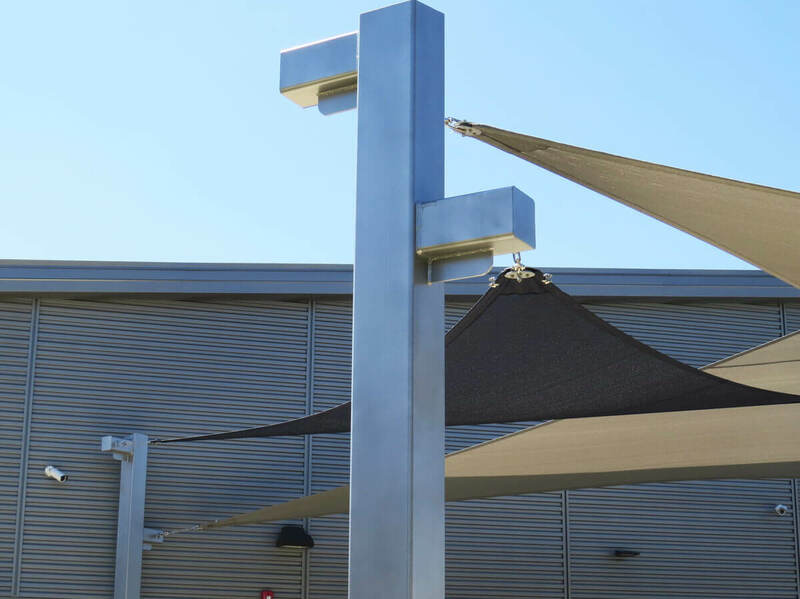 Additionally the concrete staging area of their football field had no shade protection from the sun’s harmful UV rays. 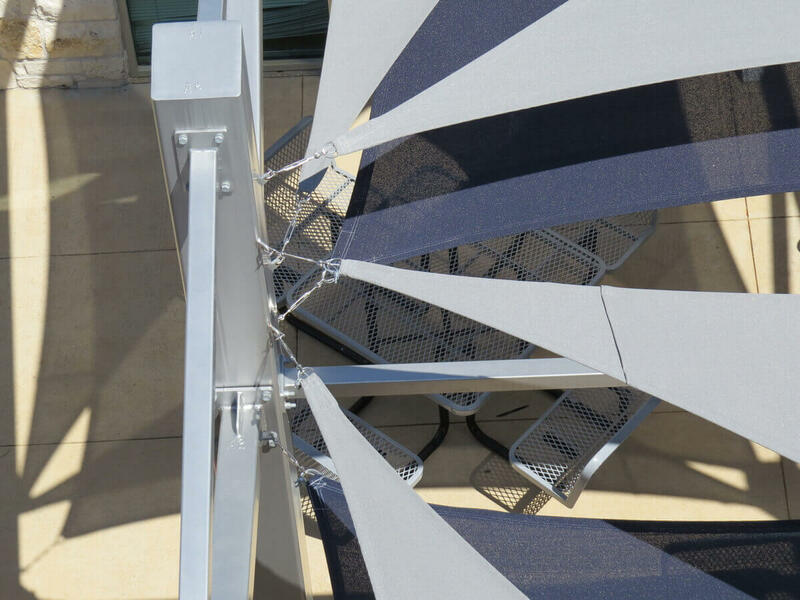 This isn’t an uncommon problem for schools, sports facilities and outdoor dining venues. It is however one our Adventure Play Experts have had years of experience solving. 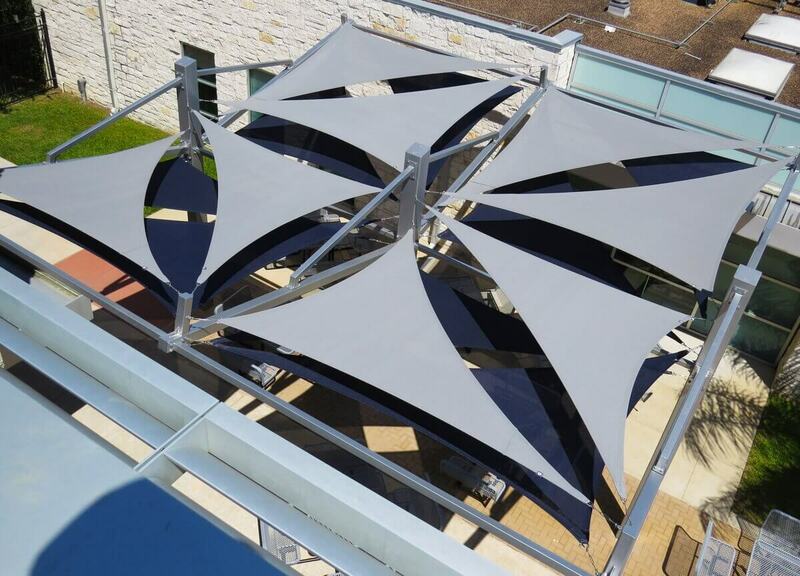 In the case of The Emery/Weiner School our APS team members designed two stunning overlapping triangle sail structures that highlighted the schools colors. 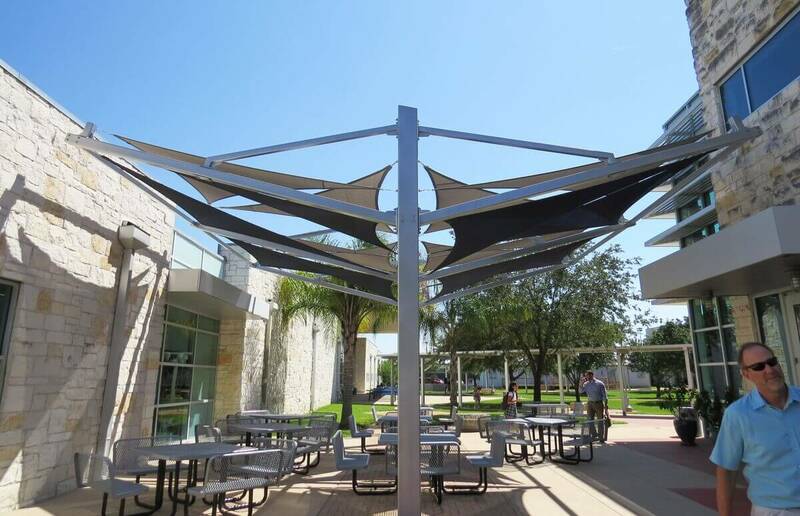 The custom shade structures provide superior sun protection for students while reducing temperatures and adding visual impact and design appeal for the campus. 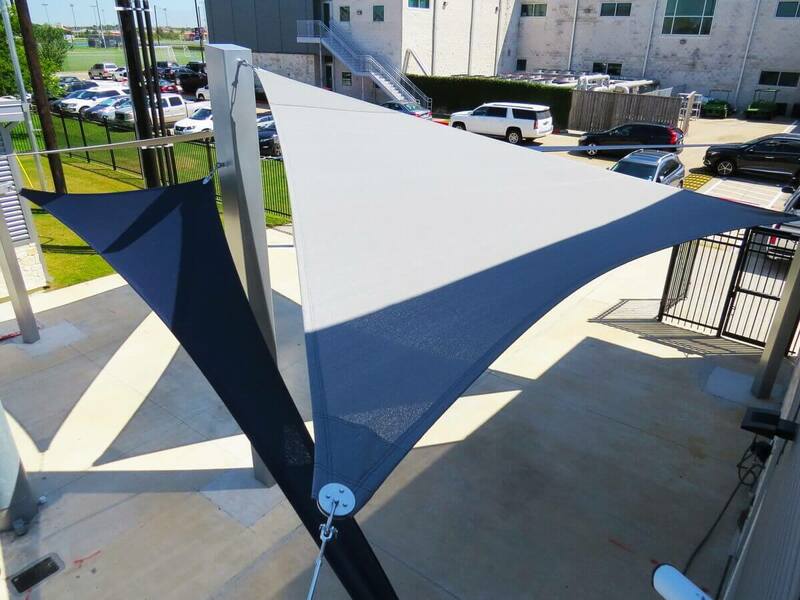 Let Adventure Playground Systems create the perfect shade sanctuary for your school or business. Contact an Adventure Play Expert today by calling us at 1.888.935.2112 or filling out our online contact form. 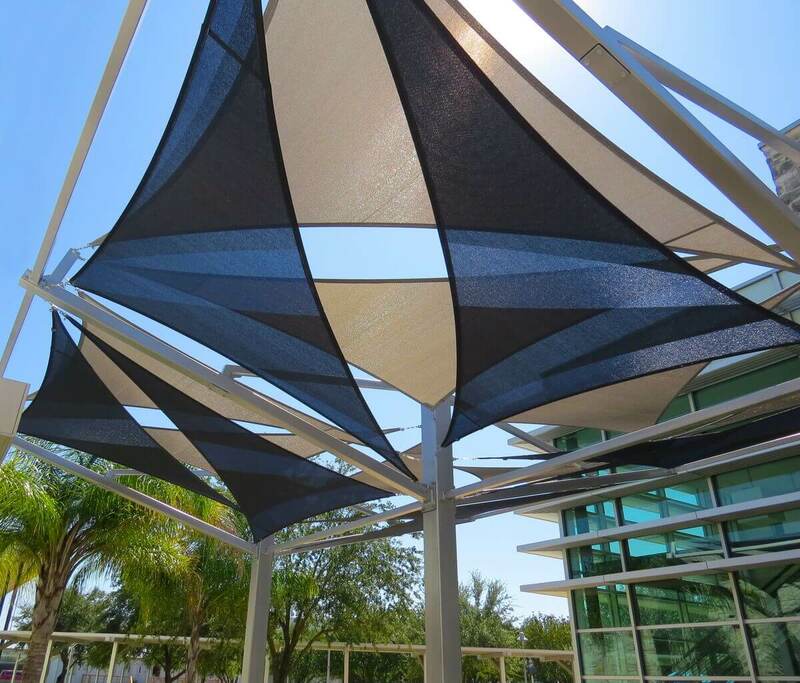 Our friendly team members are happy to offer their expert advice to find the outdoor shade solution that is right for you.